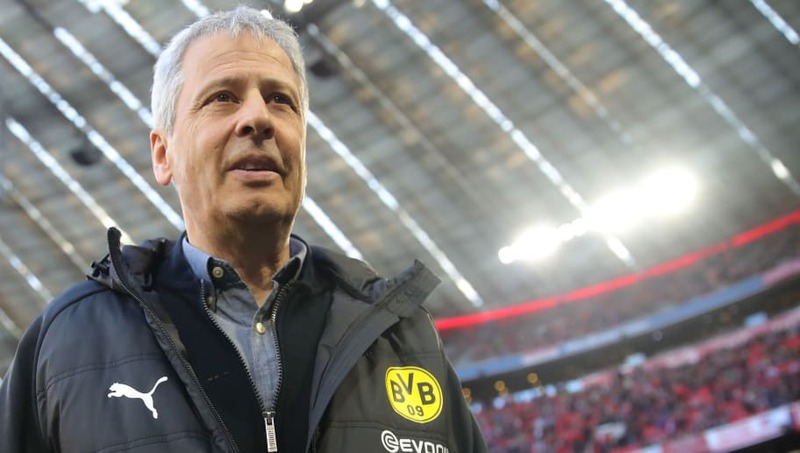 Borussia Dortmund manager Lucien Favre conceded that his side were "given a lesson" by Bayern Munich during the Bundesliga's 100th instalment of Der Klassiker on Saturday. Former Dortmund start Mats Hummels and Robert Lewandowski were the standout performers for the hosts, with the latter scoring twice to take his tally in the Bundesliga up to 200 - the first non-German to ever reach that milestone. Javi Martinez and Serge Gnabry also got on the scoresheet for Bayern Munich, with Borussia Dortmund surrendering their lead at the top of the Bundesliga table to their rivals as a result of their 5-0 defeat. "This 5-0 defeat is difficult to swallow. We were given a lesson. Bayern were much better, a lot faster and they played with pace," Favre said, quoted by the club's official website. "We had a great chance on goal early on in the game. It's difficult to say whether the match would have panned out differently with a goal for us. "We wanted to create opportunities for runs in deep with Marco up top, but that didn't work, unfortunately. We need to concentrate on our upcoming games now. "There are still six fixtures remaining. The previous matches were all very tight and very difficult for us. We need to give our best. If we play like we did today, it'll be difficult, that's clear." Borussia Dortmund will now look to turn things around against Mainz 05 next week when they return to the Westfalenstadion, with SC Freiburg also lying in wait before the second Revierderby of the season against Schalke.